Coca-Cola and peanuts are two iconic pieces of culinary Americana. In the South, the snacks swirl together in an unusual, but incredibly satisfying pairing. Historians speculate that the Southern tradition of blending shelled, salted peanuts and Coke may have originated in the 1920s, when farmers or other manual laborers wanted to enjoy a snack that wouldn’t require touching their food. 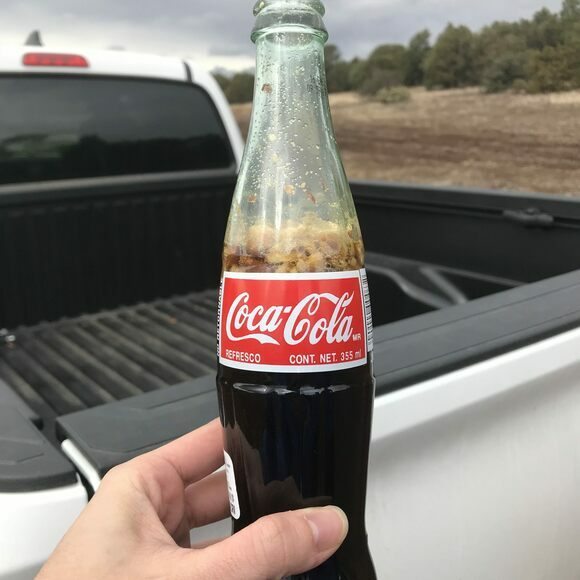 A more hands-on meal would mean a washing-up break, but simply pouring your peanuts into the Coke bottle allowed for a protein boost that you could sip while working. There are other variations on the soda-and-peanuts theme. In Texas, for example, Dr Pepper and peanuts is a popular pairing.